Oliver Richards is an Associate in the San Diego office of Fish & Richardson. His practice focuses on intellectual property litigation covering a wide range of technologies. Mr. Richards has experience in cases involving integrated circuit design and fabrication, wireless standards (including cases involving standards-essential patents), graphical user interfaces, and encryption technologies. Beyond these technologies, Mr. Richards’ focus is on complex legal analysis and writing, and one of his primary strengths is efficiently drafting effective briefs before a wide variety of tribunals including the Patent Trial and Appeal Board, district courts, and the Federal Circuit. Prior to joining Fish, Mr. Richards served as a law clerk for the Honorable Timothy B. Dyk of the U.S. Court of Appeals for the Federal Circuit. 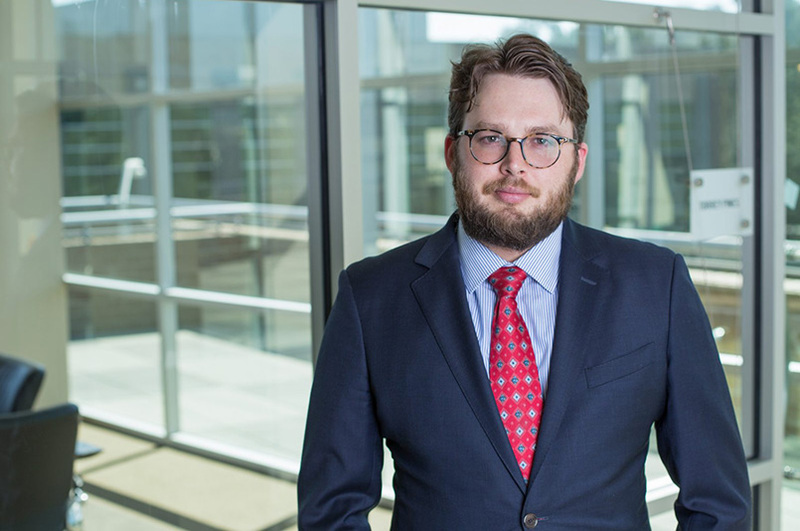 During law school, Mr. Richards co-founded the Patent Law Reading Group—a group dedicated to keeping up with recent developments in Patent Law from the Federal Circuit and Supreme Court—and Oliver has continued this in his practice, keeping Fish’s clients up-to-date with alerts about important patent law developments. Guest Author, “Challenging PTO Institution Policies (If Not Institution Decisions)” Patently-O, January 29, 2017.